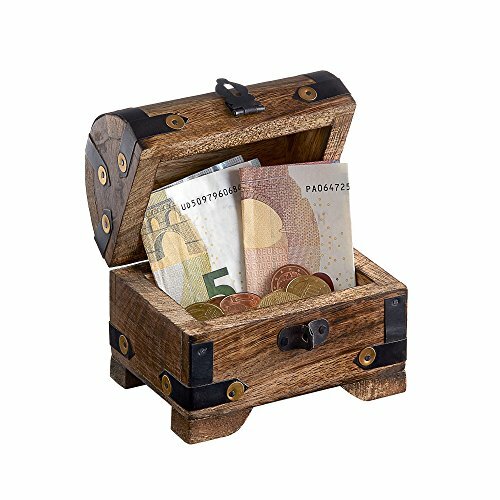 A vintage and lovely jewelry storage box, this enticing and attractive wooden product will surely bring about an allure of Nordic mythology and Vikings in your house, so it is the best gift for any geek out there! It is available in two beautiful colors, either a rich dark brown or a beautiful light brown, both of them patterned with unique natural motifs! You can also get either a small or a larger version. 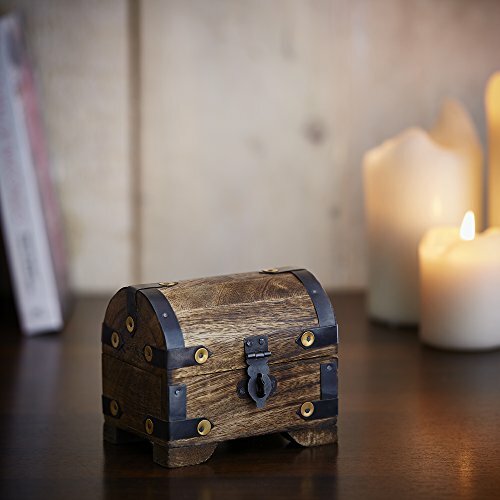 The product has been manufactured entirely by hand out of fine and sturdy dark wood. The workmanship is definitely superior and top-notch quality. 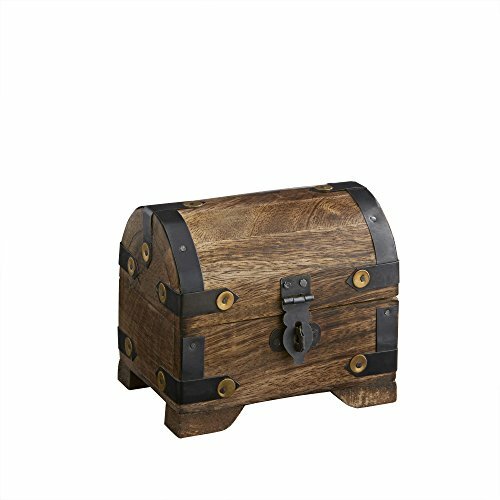 It features several dark metal hinges to enhance its rustic and antique look. The inside is non-compartmentalized, therefore allowing space for more items. 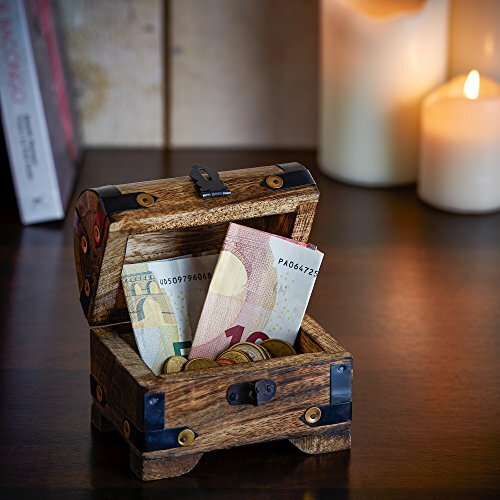 You will be completely sure of your beloved valuables’ safety as the wood is thick and it will definitely keep them apart from any kind of harm. It is well secured by a metal hinge lock. 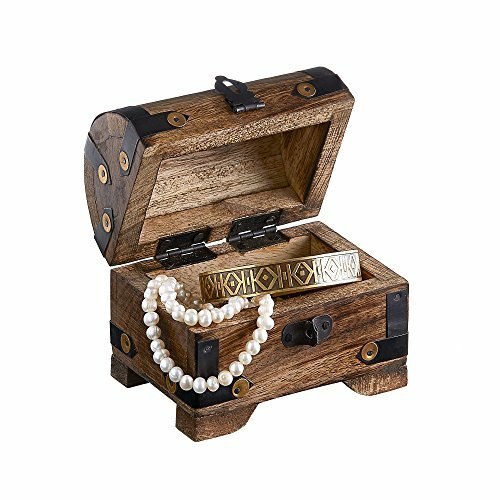 You will be able to store plenty of your jewelry collection, memorabilia, trinkets or any other precious possessions that you want to have secured in one place. It is a beautiful piece of craftsmanship that will surely decorate your environment in a truly unique manner! 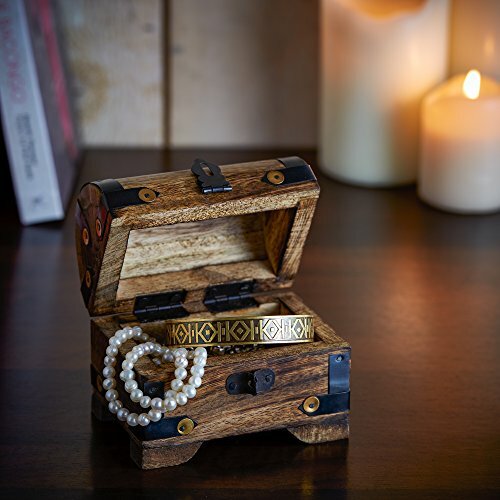 Get this amazing product either for yourself or as a gift and you will immediately see its dainty and elegant design is definitely worth its money! The dimensions of this product are the following: 5.5″ x 4.3″ x 5.2″ (14 x 11 x 13 cm) and its weight is 1.1 pounds.